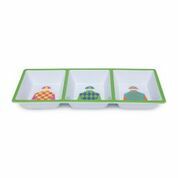 Serve it up in style! 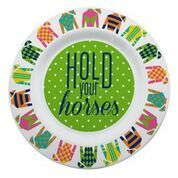 You’ll be off to the races with this jockey silks melamine platter. 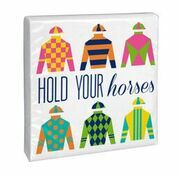 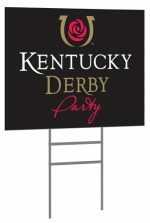 It is a must for anyone entertaining for the derby and perfect for serving treats or to use as a decorative tray. 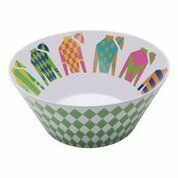 It’s easy to clean and dishwasher safe. 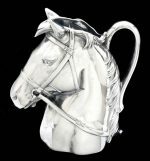 Measures 14 inches diameter.